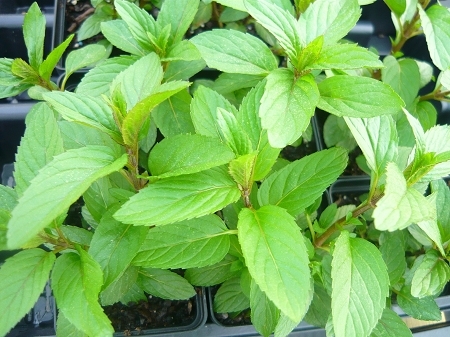 Double Mint (mentha 'piperita spicata;) Interesting and attractive culinary and tea mint combines the best qualities of peppermint and spearmint together in one plant. If you only have room in your garden for one mint variety, this is a great one to grow! Perennial zones 5-9. Live plant in 3 inch container. I have just made a purchase of over 25 different herbs from this nursery including this Cuban Double Mint plant. I buy herbs from many Nursery's Colonial Creek is the best ever. Every herb arrived in perfect shape well established and very healthy and a great size ready to transplant and take off growing. Love these people, plants obviously were grown and cared for with a lot of TLC. I normally would not take the time to comment on every plant purchased but this Nursery deserves it. And the price is a true bargain for the quality. I Highly recommend this grower.